HMS Detroit - Model Ship Repair and Restoration. 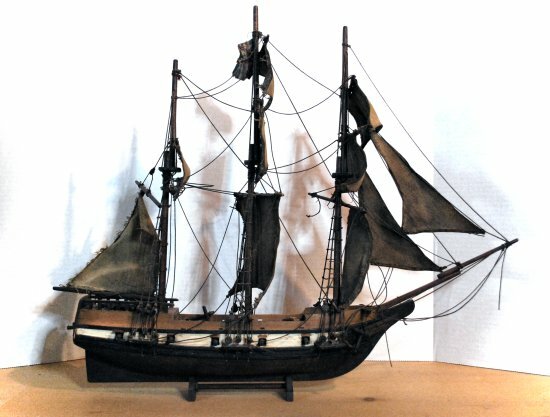 HMS Detroit corvette model before restoration. Model was originally purchased at the downtown Toronto Eaton's store in 1902. 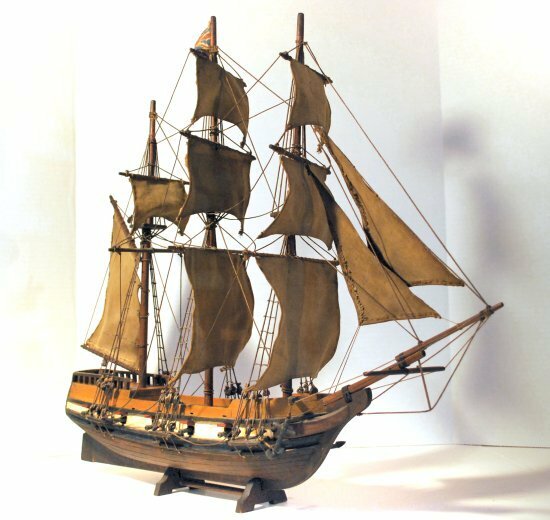 Damage to the spars, gun-port lids, sails and rigging will be repaired without altering the aged and original look of the model. 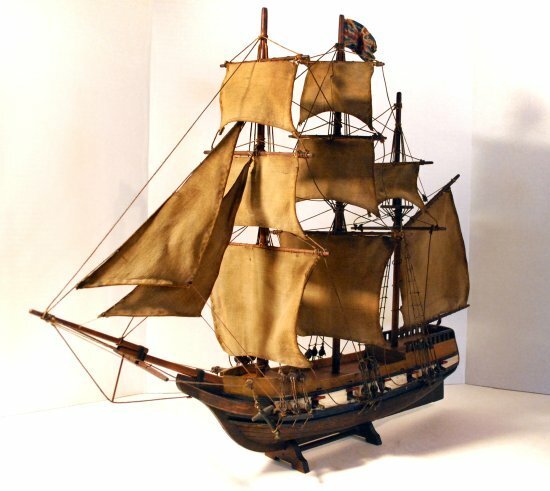 Commissioned by King George III to commemorate the capture of Fort Detroit, HMS Detroit's career in the Royal Navy was cut short as she was almost immediately captured by an American fleet under the flag of Oliver Hazard Perry on September 10, 1813 during The Battle of Lake Erie near Put-In-Bay. She grounded and was wrecked in 1841 when an attempt to send her over Niagara Falls as a public "spectacle" failed miserably. Image of the repaired model. The gaf-sail and bowsprit areas were rebuilt and a couple of spars were replaced while matching the existing ones. Some rigging had to be replaced, almost all is still original. Most of the gun-port lids were missing and she received a new set. Sails were left as is, since the owner appreciates their aged and dark appearance. Apart from the aged look though, they've also become terribly fragile and brittle. Most likely due to the effect of heat and humity on all natural hemp and cotton materials.